I have visited a number of times for beers over the years, so I was looking forward to reviewing the Sunday lunch at The Phoenix in Denmark Hill, London. 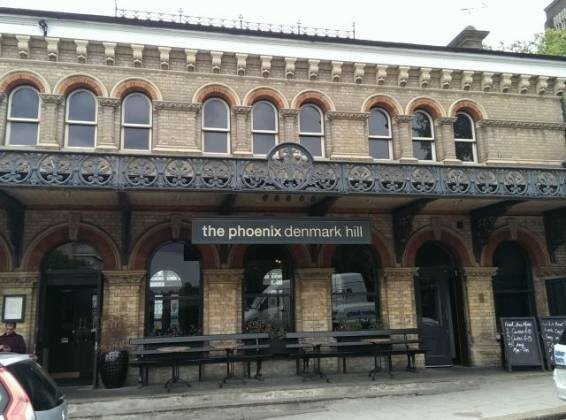 The venue is part of Denmark Hill rail station, and they carry a train theme through the pub (with a large clock hanging from the ceiling). They have a great selection of craft beers available, as well as decent priced wine. The Sunday lunch was reasonably priced between £11.75 for Roast Chicken to £13.00 for Roast Beef. The roast was ok, I wasn’t keen on the vegetables, but the desserts were superb. they scored a respectable 3.5 out of 5.